Moss covered Lava fields along the southern coast of Iceland. 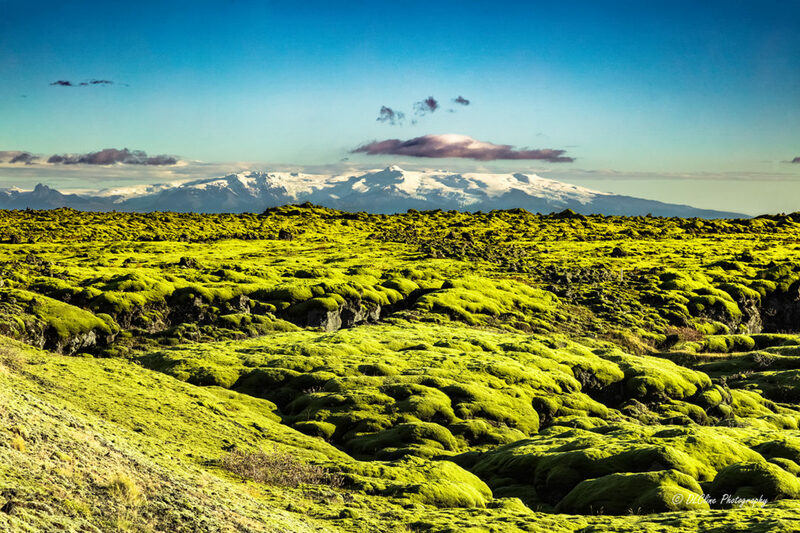 For many miles as you drive along Route 1 you will see fields of green moss-covered lava that seems to be never-ending. If you ever travel there, take a moment to stop and check them out. It is rather fascinating on how nature has created such an amazing scenery.